Sheridan College will host Sheriff Allen Thompson and deputies in the Thorne Rider Campus Center (TRCC) on March 7 from 5:30 pm to 7:30 pm. We want to hear from our Sheridan area residents, answer any questions regarding law enforcement, and get to know those we serve a little better. Please join us for refreshments and conversation. The TRCC is the dining facility, just south of the Griffith Memorial Building library. We will be on the lower level on the west side of the building, in conference area 008. 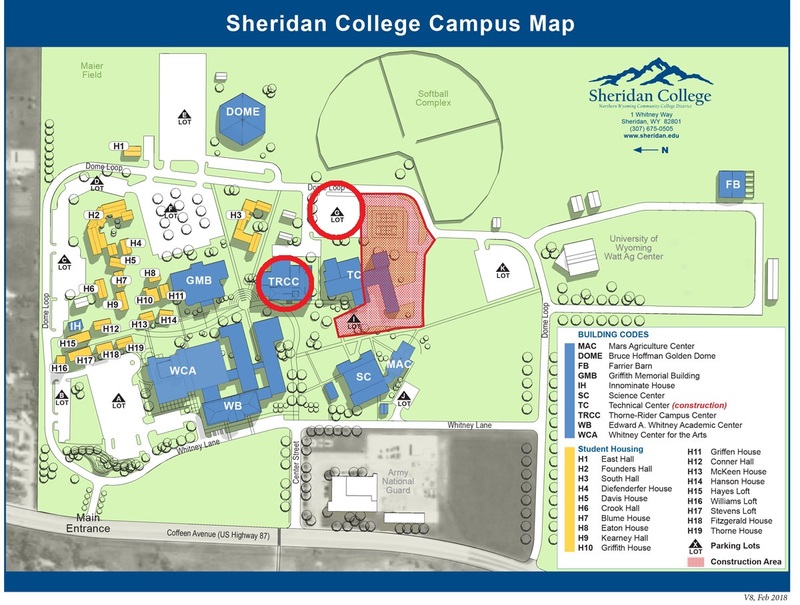 The attached map shows the building and the best parking area, both circled in red.